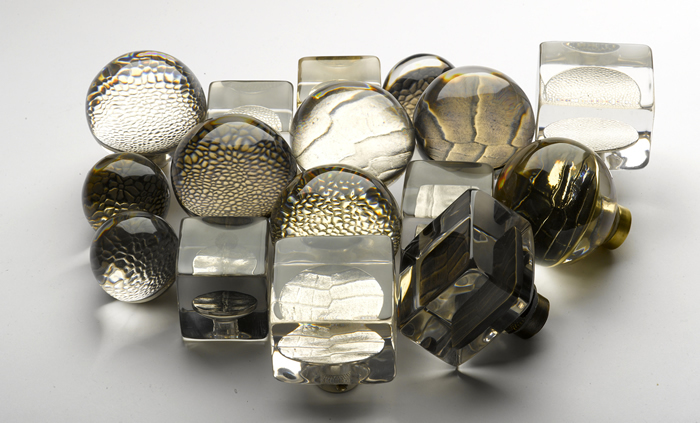 Sensation door knobs are unlike any other, incorporating sculpted bronze elements encapsulated in Cristalle resin. 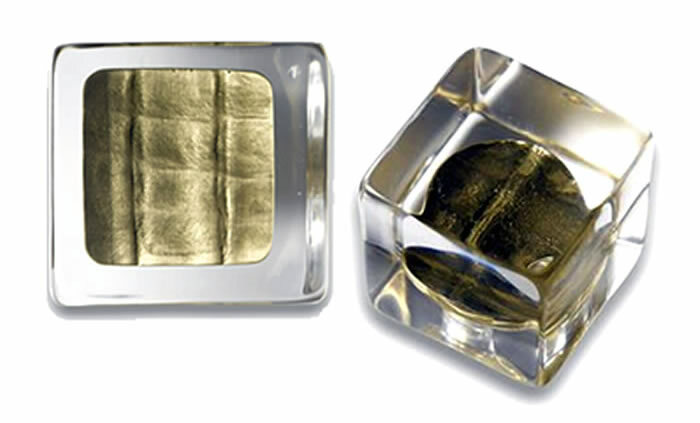 The translucent wrap acts as a beautifier, adding a fluid quality to the bronze pattern. The motif, embossed in bronze, is reflected to the surface of the knob, seemingly filling the contour formed by the translucent resin so that the entire piece appears to be made of liquid bronze. Bringing together two strands of Haute Déco's unique savoir-faire in a display of sheer glamour, Sensation door handles are truly in a league of their own. 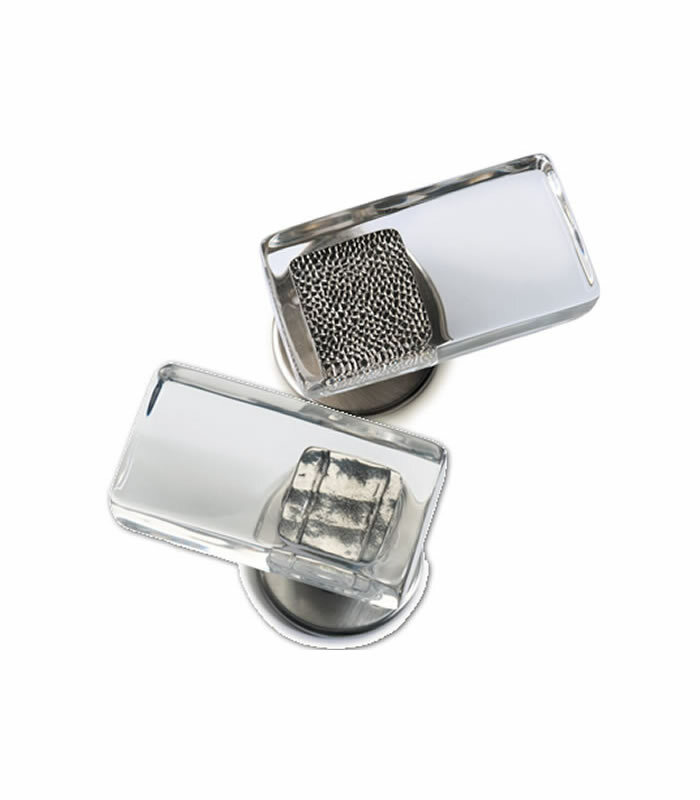 There are coordinated handles for doors and furniture including doorknobs in three different sizes, lever handles and cabinet knobs. All are available in soft gold, antique bronze and nickel.